Fairy Tale Tea. 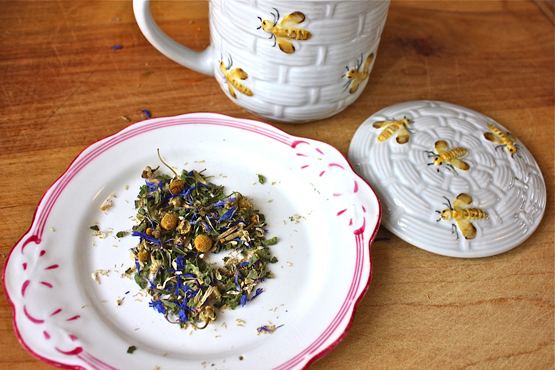 Chamomile flowers, blue cornflowers and lemon verbena. This is the soothing tea Peter Rabbit’s mum gave him to keep him calm and help him sleep. Caffein free. Pretty as a woodland forest. Chamomile flowers are questionable for pregnant or nursing moms but they have lots of redeeming qualities like stress reduction with anti-inflammatory and anti-cancer properties. Google “Chamomile” to get further information. All we can say is YUM! And sweet dreams! :-) 6 oz. bag.